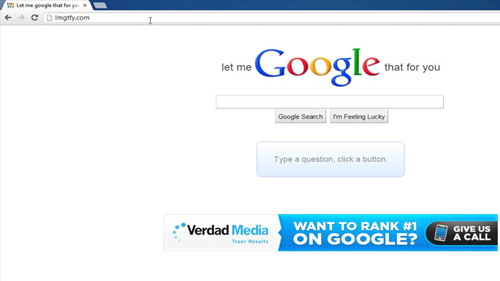 Go to “lmgtfy.com.” In the center of the page, beneath the words “Let Me Google That For You,” is a white search box. For this tutorial, we will be conducting a search on how to make an omelette. 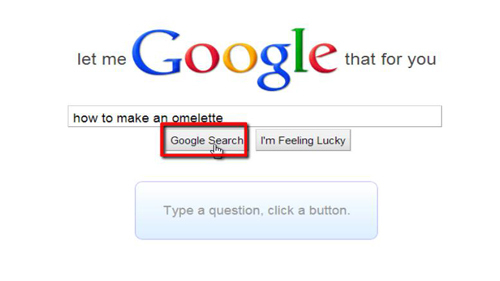 In the white search box, type in the words “how to make an omelette.” After you do this, click the “Google Search” button on the bottom. 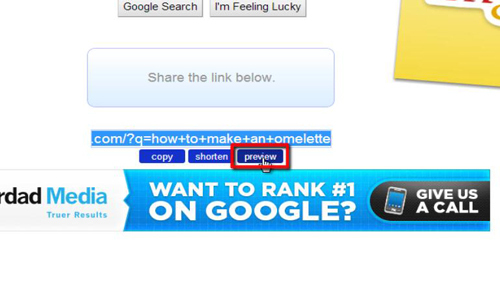 After clicking “Google Search,” if you look beneath, you will see the words “Share the link below.” Beneath this is a link, and beneath that are the buttons “copy,” “shorten” and “preview.” Click “preview,” and you will be taken to a page where Let me Google that for you will automatically perform a search on how to make an omelette. You can copy/paste the link to share it with others.